The Chief Door Opener strategizes on how to keep the lines of communication with prospects open and flowing (Caryn Kopp, Kopp Consulting) Click here to read more. This entry was posted in Members in the News on March 31, 2017 by eonewjersey. EO members receive a $595 price point ($300 discount) to the GrowCo (growco.inc.com) conference with code EOGC. GrowCo will be held in New Orleans, Louisiana from May 8 to 10, 2017 and feature an outstanding lineup of speakers including, Kevin O’Leary (Shark Tank), Neil Blumenthal (Warby Parker), Sheryl Sandberg (Facebook), and Steve Case (Revolution). The Forum team is currently working on compiling and strengthening our list of resources for Forums going on annual retreats. 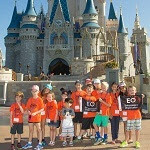 All compiled information will be turned into “EO Forum Retreat City Guides.” We are looking to gather information on cities where EO has chapters. All entries received by April 15th will be eligible for a drawing for one Chapter Forum Summit ($4,500 value) to be delivered in the next fiscal year! Please find the attached flyer for more information or submit your entry! Go to the MyEO website. Find the MyEO Group that resonates with your interests and passions (you can choose from adventure, recreation, industry-specific or professional groups). Sign up for the MyEO Group of your choice between 10 March and 26 April. The region with the highest percentage of participating members will be rewarded US$5,000 to put toward their own MyEO Events! The prize will be divided between the two chapters with the highest percentages of sign-ups; first prize is US$3,000, and the second prize is US$2,000. The winning region will be also be announced during the 2017 Global Leadership Conference (GLC) in Frankfurt, Germany. For further details and conditions, email us! Situated in the heart of Europe, Frankfurt is the perfect location to explore surrounding European countries. Join a sea of orange Dutchies on King’s Day in Amsterdam, or race the Green Hell throughout Germany! Explore all of these options today! Registration will close at the end of March. MyEO Premier Groups’ annual summits offer the perfect opportunity to connect with other members in remarkable locations. Don’t miss these once-in-a-lifetime trips! Learn more about MyEO Premier Groups by contacting MyEO Director, Nataliya Karnaushenko. Take part in a truly unique opportunity to discover Bhutan at the incredible price of US$2,500, which covers the cost of the program, accommodations, meals, transport and your visa. If you sign up by 31 March, the cost is only US$2,300. Held from 1-5 July, you will learn from social change-makers; engage the community through volunteering; savor organic food; immerse yourself in traditional sports and craft; and experience warm Bhutanese hospitality. For more information on the EO Engage Summit in Bhutan, contact Champion, Ken Koh (EO Singapore). Join 120 Women of EO Premier Group members and prospective EO members in Athens, Greece, this August! This groundbreaking summit will bring women and men together to explore the most meaningful areas of our lives: business, health, leadership, relationships, family and personal growth. Hosted in heart of the Athenian Riviera, the Women of EO Summit is designed to unify and empower women entrepreneurs to live their best lives. It will be different from any other EO event you’ve attended, one that members will be talking about for years! For more information on Women of EO, please contact Champion, Winnie Hart (EO Houston), and check out the video of the 2016 Women of EO Summit! This entry was posted in Global News on March 31, 2017 by eonewjersey. Forum GTD takes over New Orleans! This entry was posted in Chapter News on March 31, 2017 by eonewjersey. Liberty Humane gets free services (Denise Blasevick & Adam Schnitzler, The S3 Agency) Click here to read more. Mike Michalowicz gives tips for growing a healthy business (Michael Michalowicz, Profit First Professionals) Click here to read more. Westfield Home Transformation To Be Featured on NBC March 25th (Michael Mroz, Michael Robert Construction) Click Westfield Home Transformation To Be Featured on NBC to read more. EO NJ member Cheryl Biron and three other women entrepreneurs will be featured during a panel discussion the evening of March 27 at Montclair State University in Montclair, N.J. The event is free and open to the public. The panelists will share their journey from idea to successful business, and discuss whether their gender was a help, or hindrance (or both). The startup founders will also tell how they got started, how they transitioned from a corporate job, tips for securing funding and advice for selecting a partner and how to divide up responsibilities. The event will also explore why women are under-represented as entrepreneurs. Attendees can register at the above link, or by emailing sharon.waters@montclair.edu directly. Feel free to spread the word to anyone who might be interested. This entry was posted in Members in the News on March 17, 2017 by eonewjersey. Rutgers student is winner in global entrepreneur award. Click here to read more. This entry was posted in Chapter News on March 17, 2017 by eonewjersey. Did you know that EO has a brand new Executive Education program focused specifically on EO members that have family businesses with the prestigious International Institute for Management Development (IMD) ? This intensive 3 day program covers topics such as: Learning from long-lasting and successful privately held businesses, What do high performing leaders actually do to be outstanding in resolving differences quickly and effectively?, Succession and Family Governance, and more! You can attend solo or bring one member from your family business to attend! Registration Fee: US$4950/person. Registration fee includes all programming, meals and accommodations from 28 – 30 August 2017. Number of Participants: 70 EO Members and their family business partners, colleagues or staff. You are encouraged to register and bring one member from your family business to participate in full with you, however, this is not mandatory for attendance. This entry was posted in Global News on March 17, 2017 by eonewjersey. Are you interested in attending Inc.’s GrowCo? EO members will receive a US$300 discount off the regular conference price by using the code: EOGC. GrowCo will be held in New Orleans, Louisiana, USA, from 8-10 May, and will feature an outstanding lineup of speakers, including Kevin O’Leary (“Shark Tank”), Neil Blumenthal (Warby Parker), Sheryl Sandberg (Facebook) and Steve Case (Revolution). All EO members attending the conference will be connected by email before the event. 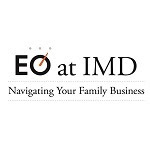 EO@IMD: Navigating Your Family Business – Registration Coming Soon! If you own a family enterprise, or plan to appoint a relative as a successor, join us from 28-30 August for EO@IMD: Navigating Your Family Business. This three-day, intensive learning program, held in Lausanne, Switzerland, will provide you with world-class education from family business experts and established family firms. According to a 2016 survey by PwC, most issues within family businesses could be resolved or avoided through strategic planning for the future. Learn more and register on 14 March. Save the Date for the 2017 EO Hyderabad University! Your next opportunity to attend a University is approaching fast! 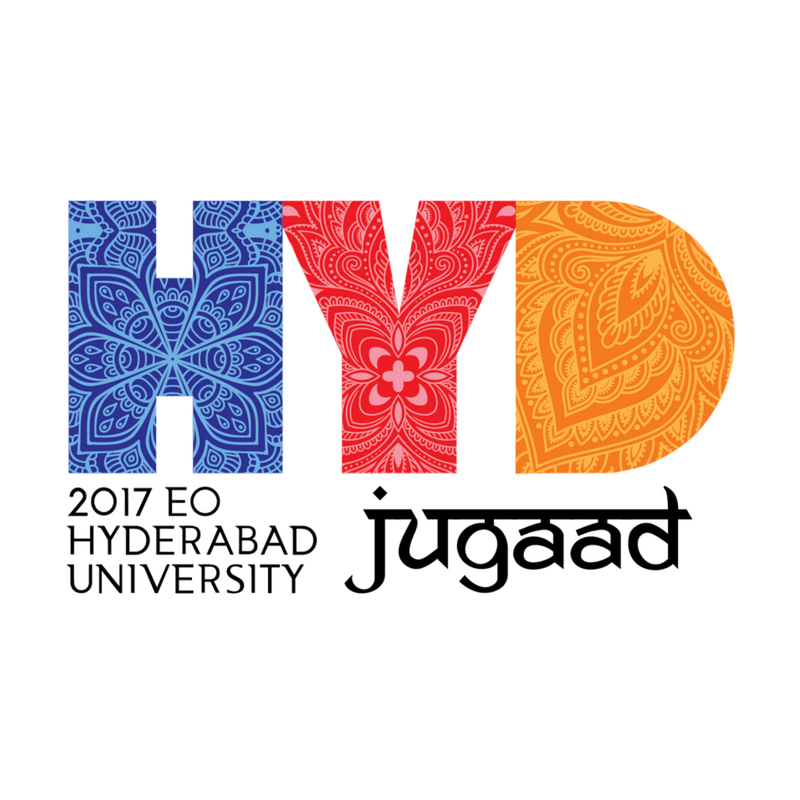 The 2017 EO Hyderabad University will take place from 25-29 October. Twice a year, members from around the world gather for a four-day conference packed with opportunities to learn, network and explore different cultures. Don’t miss out on your chance to do this same! Subscribe to the interest list to receive updates about this upcoming University, including the registration date and times, speakers and more! EO is proud to announce that registration for the EO Family Retreat & Experience will open on 14 March. This four-day adventure, designed for you and your loved ones to learn and grow together, will be held from 2-6 August in Orlando, Florida, USA, at the Four Seasons Resort Orlando. The program will help you build the framework for a stronger family unit, while your children will become inspired and ready to develop into confident, self-sufficient individuals. All of this, of course, with plenty of fun along the way. Review registration details and fees on the event website, be sure to subscribe to the interest list and join the Facebook group for important updates! Contact the EO Global Events team with any questions. Eager to learn and grow alongside fellow women entrepreneurs? Join the MyEO Women of EO Group, a dynamic group that gives women entrepreneurs in EO an opportunity to engage at scheduled events, empowers them through powerful connections and ongoing dialogue, and spotlights their strengths through the Women of EO Leadership Summit, to occur from 23-26 August. Save the date— registration opens in March, and will be available for group members first! Learn more. Can you imagine your sales growth increasing from US$0 to more than US$2 billion? Listen to Brian Halligan’s story—and others—on the EO Podcast. Through our e-Learning adventures, learn how you can balance brain power and “Wake Up Productive”! Both e-courses are free and self-paced; exclusive for EO members and Accelerator participants. And stay tuned for the launch of a new podcast, “Wonder,” on 14 March. 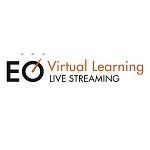 Take advantage of these virtual learning opportunities and more by visiting EO’s Virtual Learning webpage. This entry was posted in Global News on March 3, 2017 by eonewjersey. Rutgers student wins regional Global Student Entrepreneur Awards competition Click here to read more. Thank you to our generous Lead Sponsors, Award Sponsors and judges! This entry was posted in Uncategorized on March 3, 2017 by eonewjersey. Advance Realty Acquires The Metropolitan At 1300 Clinton Street, Hoboken (Kurt Padavano, Advance Realty) Click here to read more. Right questions, right time: sales is situational (Caryn Kopp, Kopp Consulting) Click here to read more. This entry was posted in Members in the News on March 3, 2017 by eonewjersey.